Here at Concept, we work with a market leading supplier to ensure you are being given a stunning variety of conservatory roofs. These will help you make the most of your conservatory, turning it into a spectacular space. Conservatory roofs from us are an exceptional solution to transform your conservatory, enhancing the space you live in. Our team of installation experts make it easy to update a roof that no longer performs. Add thermal performance and weatherproofing technology to your conservatory, creating an inviting living space with a new conservatory roof. Making sure your home is thermally efficient is a difficult task. However, we have made it easier with the use of our stunning conservatory roofs. Each one is designed to trap as much heat as possible inside your home, gradually warming it up to the optimum temperature. The tight fit of our conservatory roofs on to your existing conservatory ensures no cold air can get through. To ensure our conservatory roofs are perfect for your home, we offer a range of customisation options. Our most popular customisation option is our ability to tailor each of our conservatory roofs to suit the size and shape of your property. 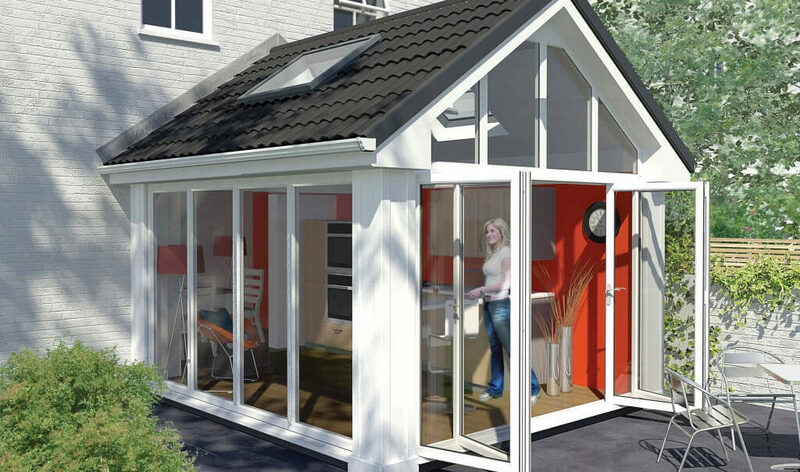 This means you will be able to create a seamless blend between your conservatory and the exterior of your home. If your conservatory roof is causing you problems, why replace your whole conservatory? We offer a range of conservatory roofs that are designed to enhance the performance of your existing conservatory. 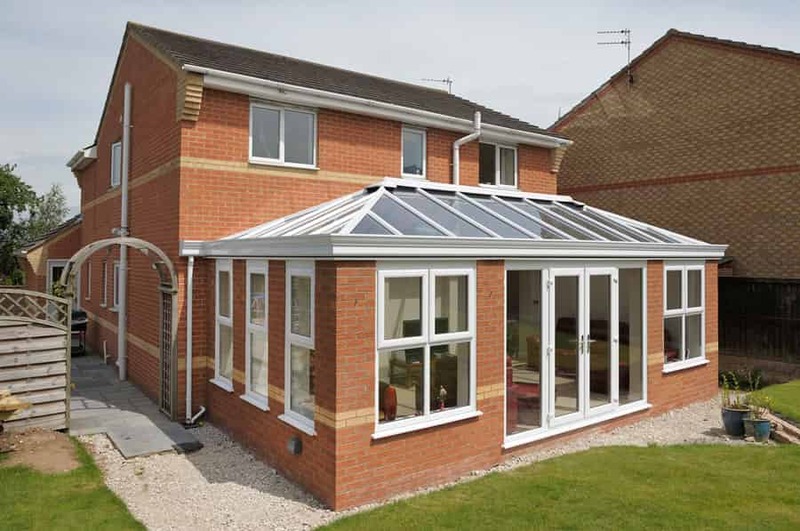 They provide a cost effective solution, ensuring you don’t need to replace your entire conservatory. Find out more about our range of conservatory roofs below. Why Choose Us for Your Conservatory Roofs? We work with the best installers in the industry to provide you with an installation process that is quick and easy. We are sure not to take longer than necessary and will leave your home just as we found it – clean and tidy. Together, our installers have years of knowledge and experience in the industry, meaning you will be getting the best service possible. They are experts in the field, giving you knowledge and advice you can rely upon. Each of our products contain strong and sturdy materials that are designed to last for many years. From double glazed glass panels, to tiled roofs, our range of conservatory roofs are sure to last for many years after installation. The Ultraroof is a practical solution for many homeowners. It offers the beauty and performance of a solid roof in a cost effective way. You will benefit from a beautiful, vaulted ceiling that is plastered to ensure it captures a beautiful aesthetic appeal. 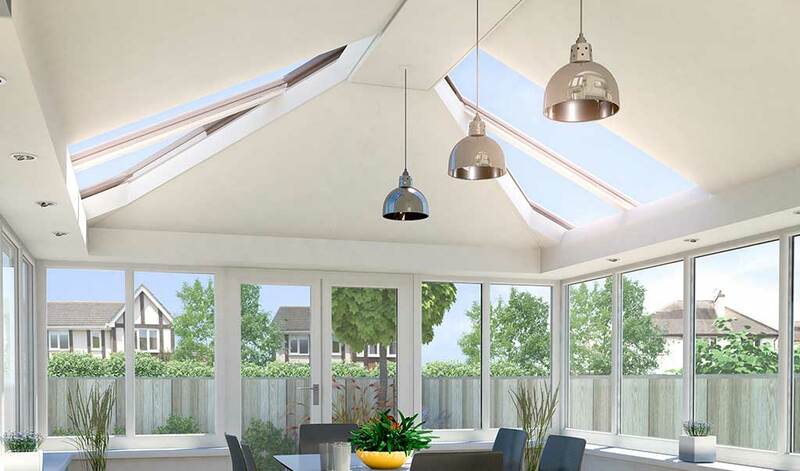 Ideal for refreshing your conservatory, these roofs are great for thermal performance. They will keep you warm in the winter and cool in the summer, you can even have rectangular glass panels installed to ensure your home is kept light and bright. The Livinroof system is a superb choice for your home as it seamlessly combines solid roof performance and appearance with traditional glazed roofing. These conservatory roofs are state of the art, proving themselves to be highly sought after throughout Essex and Middlesex. Their exceptional design allows light to flood into your home. These conservatory roofs can be tailored to your tastes too, making the inside of your conservatory just as stunning as the outside. We only offer you the very best. The final option in our conservatory roofs range is the glass replacement roof. Our realROOF systems are the superior choice if you want to keep the benefit of the additional space that your conservatory provides, whilst also enabling it to perform just like a brick built extension. The solid conservatory roof is fitted to your existing conservatory and provides incredible thermal performance, enabling you to benefit from a fully functional living space that you can use all year round. As conservatories age, they can become dated, detracting from the beauty of your home. In addition to this, the structure becomes weaker, allowing in leaks and draughts. This ensures comfort throughout the year. Our conservatory roofs will bring your conservatory back to life. Keeping the same structure, these roofing options will enable your conservatory to perform fantastically once more, giving you a stunning room to enjoy whatever the weather and a stylish extension that complements your home. Our conservatory roofs prices in Essex and Middlesex are fantastic. 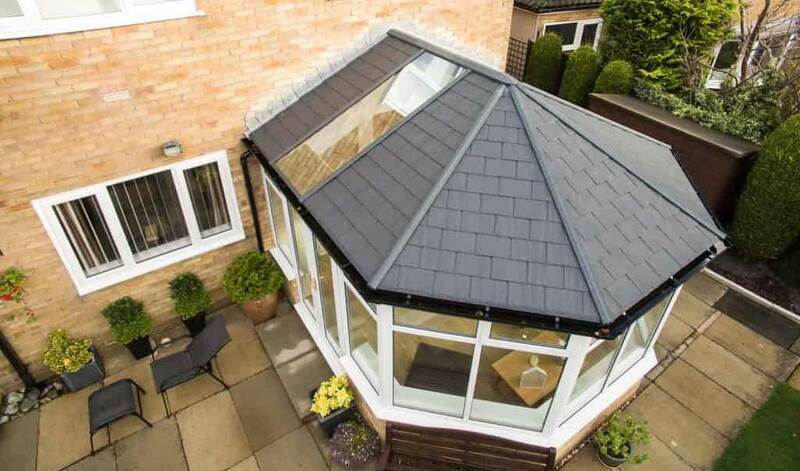 Using a variety of roofing systems, we can transform your conservatory at a price to suit you. To find out more about our conservatory roofs, give us a call on 01708 463526 and talk to our team today. They will guide you through the options, giving you key details. Alternatively, use our online contact form to send us an email and we will get back to you as soon as possible. Or, use our online quoting engine to get a quote in minutes.